Indie Retro News: Wonderland Dizzy - The Oliver Twins BIG Dizzy game reveal & The Oliver Twins book Kickstarter! Wonderland Dizzy - The Oliver Twins BIG Dizzy game reveal & The Oliver Twins book Kickstarter! 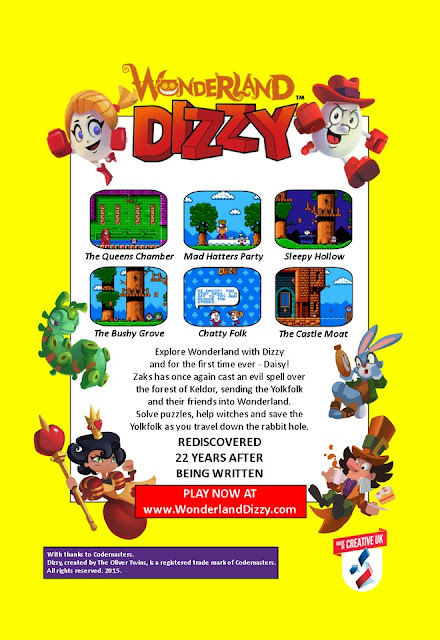 Through this month and last, The Oliver Twins have been hinting at a brand new Dizzy game that was to be revealed on Saturday 24th October at the Cambridge‏ show. 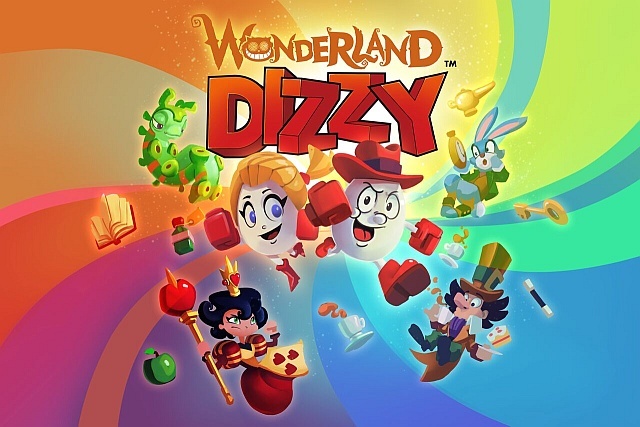 Well today right on cue, we have got the latest scoop that this game is actually called ' Wonderland Dizzy ' and you can play it right now! 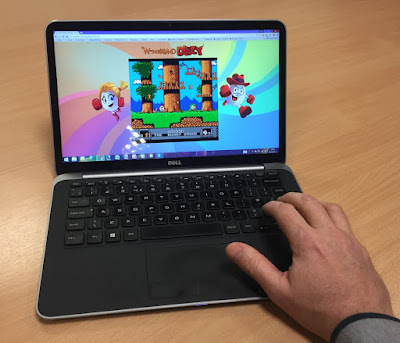 But before we lead you towards this fine place of gaming fun, let us talk a bit about how this game came to be. 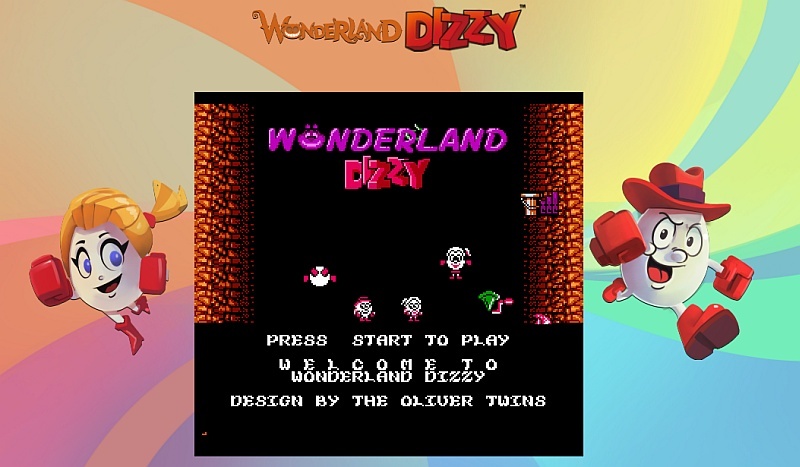 During this year, The Oliver Twins have been doing a number of talks relating to not just their latest game SkySaga, but also a history lesson on their rather special past including yes that famous character Dizzy (link). 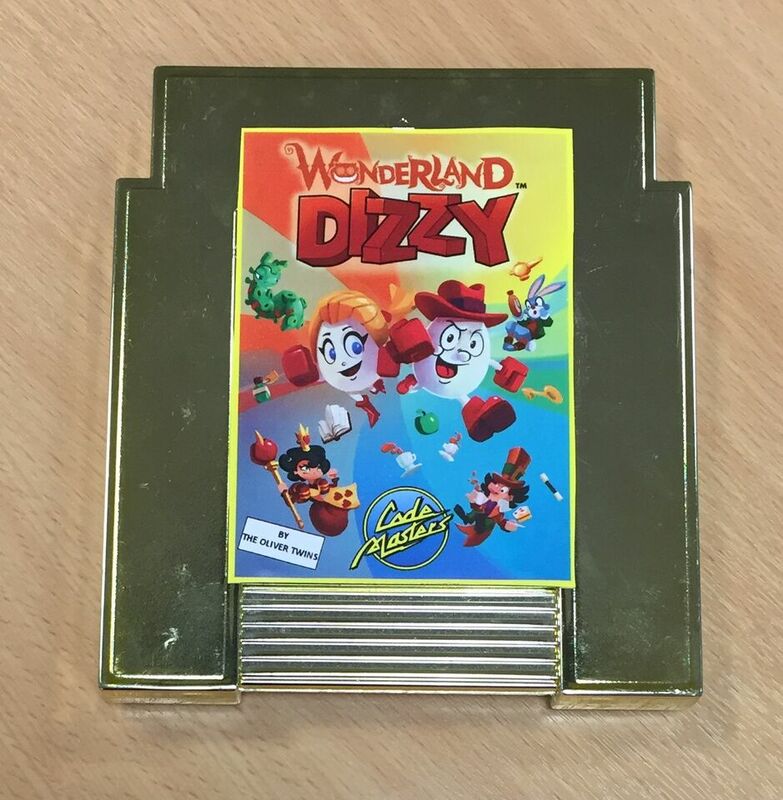 But what came of interest, was in searching for fun props and archives for the Expo (Play Blackpool) May 2015, they came across a hand drawn map to ' Wonderland Dizzy ', which was in the loft. But they questioned themselves, "was it a new game? ", "was it ever finished? ", "if it was, could they release it, perhaps even with an emulator?". These things put a heavy load on The Oliver Twins minds and so, after even more searching in the loft... THEY FOUND IT! Sadly all was not well, although the game hadn't faded away in time, with mold eating away at the data. 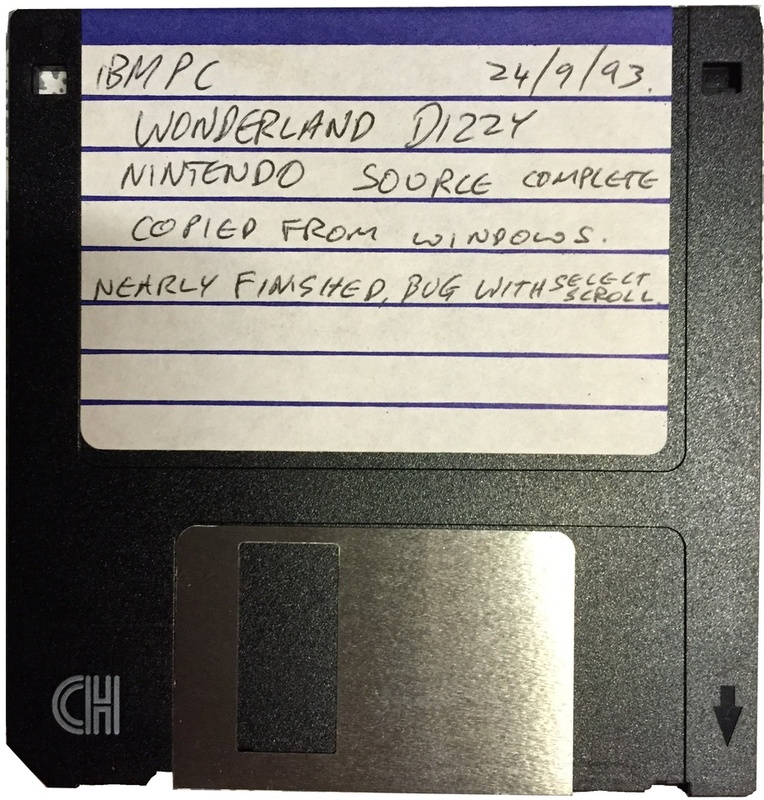 The finished compiled game file wasn't actually on the disk, but the source code and graphics were. This put the twins in a dilemma, how would they get all the information put together for a full game? How would they be able to recompile it? 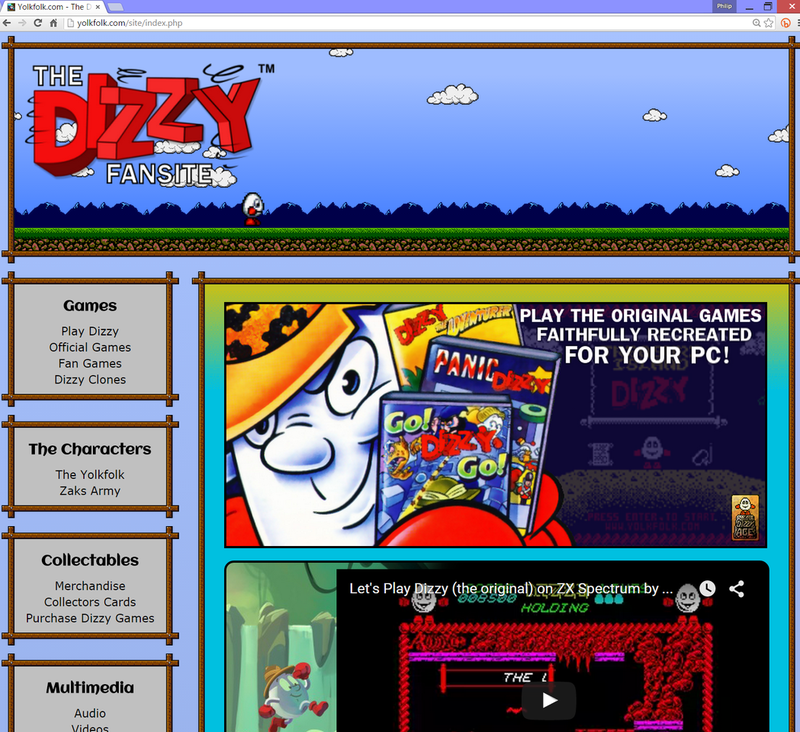 So they got in contact with Jason Fitzpatrick at The History of Computing in Cambridge and our good friend Andrew Joseph of that popular site Yolkfolk.com, to somehow get this game in a complete state. 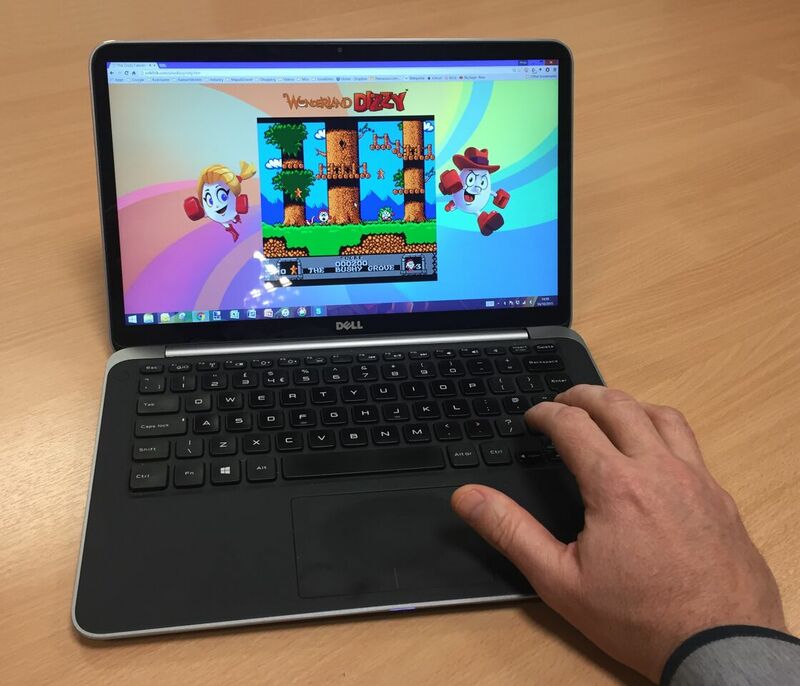 But there was light at the end of the tunnel, as after a few days Lukasz Kur, from Poland, delivered a ROM image to Andrew Joseph who then forwarded it to The Oliver Twins. A WORKING file, that even worked on an emulator, albeit very hard and buggy. So the twins spoke to Lukasz and said... ‘how do you feel about fixing some of the small bugs that we can identify and adding a ‘Fun’ mode, basically infinite lives, because players today don’t expect games to be so difficult. Oh and add your name on the front screen with a “Special thanks to...”. Lukasz was happy to do this, however in return he wanted a Polish language option. But with more languages increases the size of the ROM, as it has a maximum limit of 256k bytes. Lukasz provided the English text, and the twins organised an agency to translate it, and supplied it back to him. Not long after, The Oliver's were about to get a very special communication. 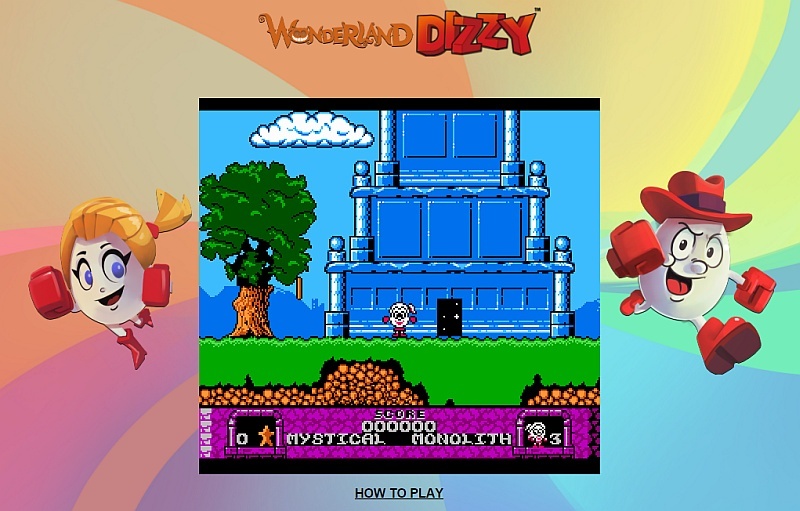 Andrew Joseph had supplied them a link to Wonderland Dizzy. But not just any link either, the game was fully playable in a browser. Which for it's time would've been unheard of! In playing the game, the memories came flooding back for the Oliver's, as they remembered adding the Cheshire Cat fading in and out and how Andrew programmed the rescuing of each of the Yolkfolk. The background map was based on the structure of Magicland Dizzy (made by Big Red Software), but they completely re-coded it from scratch, redrawn all the graphics, in the 4 colours per character mode, created new puzzles and added a mode to play as Daisy and a 2 player mode with Dizzy and Daisy as a tag team. What's more they even had a conversation with Codemasters to inform them what they were doing, Frank Sagnier the new CEO was happy, saying it can do no harm to raise the profile of Dizzy and the goodwill of the community. 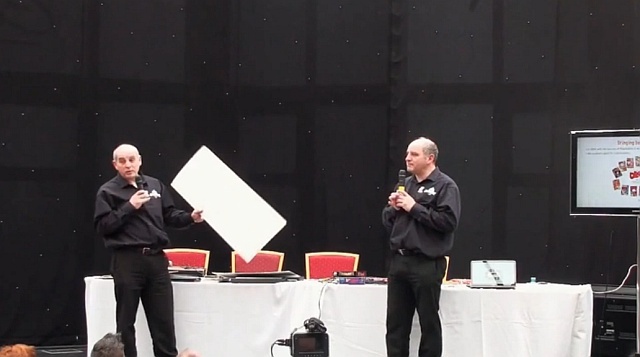 Plus they got a couple of guys at Radiant Worlds to create a new logo and a nice piece of artwork, with Andrew Joseph using this to create a box mock up. 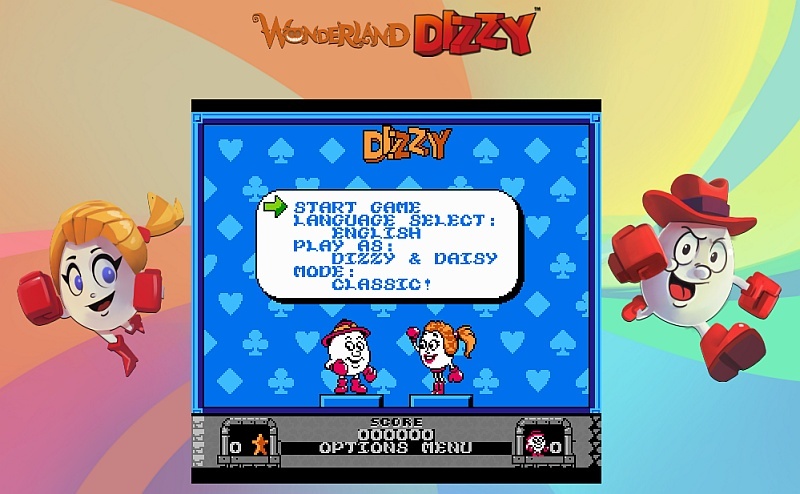 It all looks so beautiful and yet for those who didn't know, Wonderland Dizzy was originally developed for the NES way back in 1993, but it has always been documented as never being finished. Yet according to Peter of Yolkfolk (link), it was revealed sometime back when he was at Blitz. Wonderland was completed and was pulled from sale just before being released due to a legal row about the Aladdin deck enhancer, and apparently there are a few copies out there somewhere due to some being stolen from the warehouse where they were stored. What would Wonderland Dizzy look like on the NES? And now it comes to this, the finish line. After The Oliver Twins played it again, they thought it was too large and too hard, thus after a conversation with Lukasz, they added a rather special treat to anyone that could finish the game. 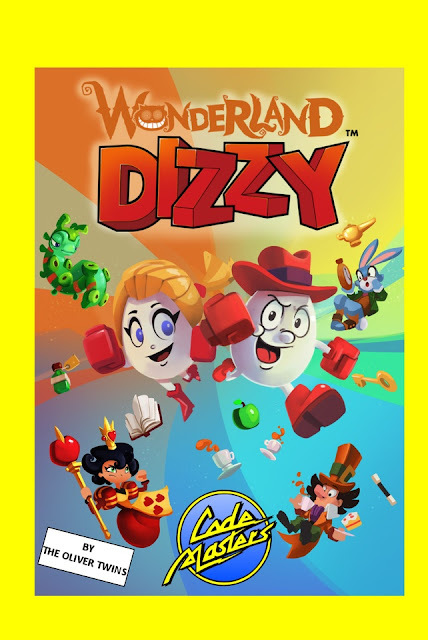 Lukasz added some code to display a unique code for people to enter a free completion of lots of limited edition special Dizzy goodies to anyone that could complete the game in classic mode. Which is a huge incentive to get people to play the game again and again, just like the incredible 80's! Now it's YOUR turn! 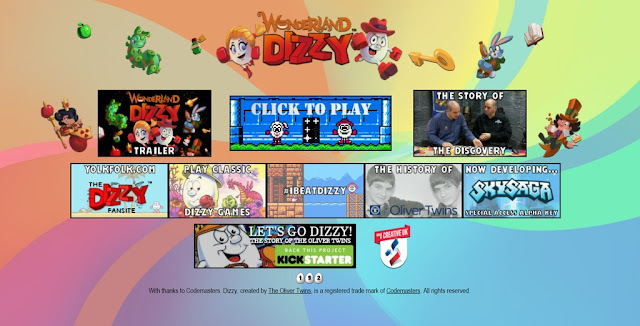 It's time for you to visit the links at the bottom of the article, play Wonderland Dizzy, read the story, play the original classics online, pledge towards the amazing ' The Story of The Oliver Twins : Let's Go Dizzy! ' 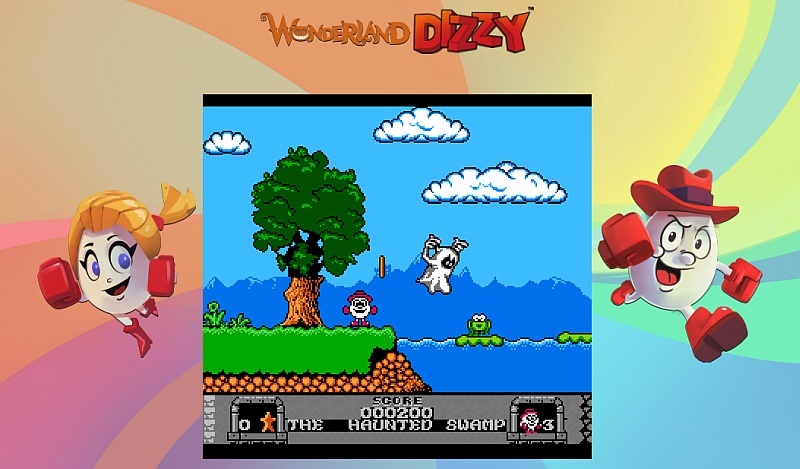 book Kickstarter and generally have a very good Dizzy time! Remember guys, you read it here FIRST!